We all love running and hate injury, right? We all have specific goals that we want to accomplish (finish our first marathon, run a PR, qualify for Boston) right? 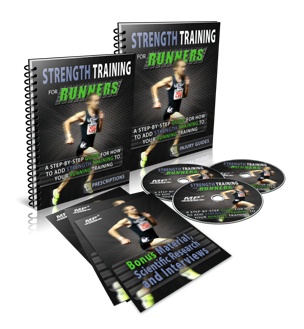 I found this strength training program on the Runner's World 2014 Gift Guide for Runners: Men (but this is not just for men - it's for ALL runners). When I researched the program - Strength Training For Runners - I immediately knew I must buy it and start the exercises right away. I also knew that I had to share it with all of you! So, go buy it for yourself or put it on your holiday gift list. Let's start being better, stronger, faster runners today! I always ask for comments, so tell me - have you used this program? How is it working for you? Would you recommend any other strength training programs?